It’s important to plan ahead. Spots at national parks can fill up quickly, especially during the summer months. Consider alternative places to stay, such as an Air BnB, which may have more availability. If you’ll be hiking, make sure you bring along plenty of water. It can get really hot in the summer months (the average summer temp for Zions in July is 101 degrees) and you don’t want anyone in your group getting dehydrated or sick. For every half hour you’re hiking, you should be consuming 8 ounces of water. For example, a two hour hike means you should have 32 ounces of water with you. Don't forget to wear sunscreen and a hat. Even those hottest days can turn into super cold nights in the blink of an eye. Come prepared with layers so you’re ready for whatever the weather throws at you. This is especially important if you are camping and will be spending a lot of time outside. 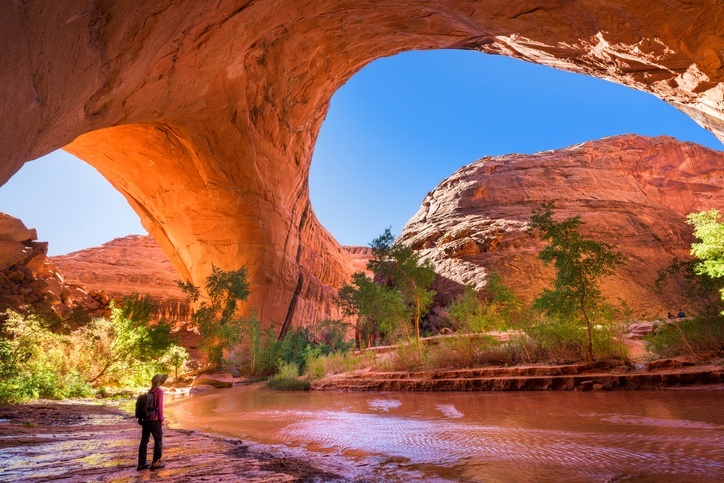 If your summer plans include lots of national park stops, both in and out of Utah, consider purchasing an annual pass. For just $80 a person, you can gain access to more than 2,000 Federal recreation sites. For more information, visit the National Parks website.